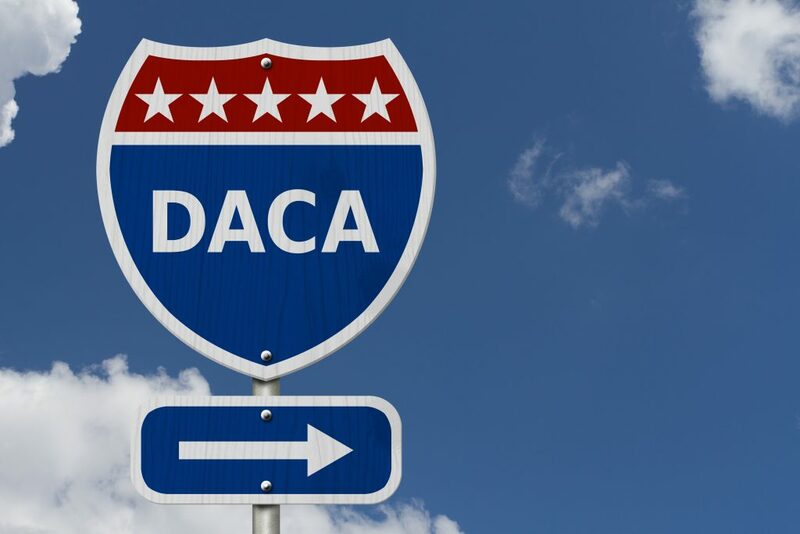 Deferred Action for Childhood Arrivals (“DACA”) has been a saving grace for countless people who have no other form of relief from deportation. DACA is available to people who came into the United States without “admission,” when they were children. In its simplest form, it is a declaration by the government that they will not institute deportation proceedings for a specified period of time. The practical benefits to the individual are that the person becomes eligible for certain benefits, like a driver’s license and employment authorization, and they don’t have to look over their shoulder and worry that they are going to be taken into ICE custody. Why a Motion to Vacate a Plea and Conviction in a Criminal Case may be an Immigrant’s only Defense to Deportation. Just like American citizens, sometimes immigrants find themselves on the wrong side of law. Whether its a DUI or possession of a small amount of marijuana, even the most minor criminal offense can have devastatingly negative immigration consequences for non-citizens. Can a lawful permanent resident be deported for a DUI? The answer is no, however, that DUI combined with other criminal arrests and convictions can make USCIS deny a green card holder’s application for citizenship. Can a DUI make someone with no status deportable? Again, the answer is no, but a DUI will stop someone from getting DACA (Deferred Action for Childhood Arrivals) and other forms of Prosecutorial Discretion. The crime that is much worse for both lawful permanent residents and for immigrants with no status is possession of any controlled substance, even a small amount of cannabis for personal use. For an immigrant with no status, a conviction for any federally controlled substance in any amount will likely lead to detention, removal proceedings and bar almost all forms of relief from removal. Yes, this includes a misdemeanor amount of cannabis for personal use. Why the Crime of Battery in Florida is Likely no Longer a Crime of Violence under Immigration Law. The Board of Immigration appeals recently issued a published decision that may answer once and for all with a resounding NO, the question: “is Battery in Florida a Crime of Violence?” That’s right, the Florida crime of Battery, Florida Statute § 784.03, which requires that someone actually and intentionally touch or strike another person or intentionally cause bodily harm to that person, is probably not a crime of violence in immigration law. That means that it is probably never an aggravated felony crime of violence under INA § 101(a)(43)(F), and may never be a crime of domestic violence under INA § 237(a)(2)(E)(i). This decision also means that other more serious Florida battery crimes, including Felony Battery based upon a prior Battery Conviction, Fla. Stat. § 784.03(2), Aggravated Battery on a Pregnant Victim, Fla. Stat. § 784.045(1)(b), Battery on a Law Enforcement Officer, Fla. Stat. § 784.07, and Battery on a Elderly or Disabled Person, Fla. Stat. § 784.08, are all likely not crimes that can get you deported. That is because each of these crimes is based upon the same language from the simple battery statute. A bit of background on the statute first so that you can understand the history of the changes in the law effecting the battery statute. In 2010, the U.S. Supreme Court in a case called Johnson v. United States, 130 S.Ct. 1265 (2010), determined that the first part of Florida’s battery statute, the part about touching another person against their will, is not a crime of violence. That is because you can be convicted of battery in Florida without actually using any violent physical force to commit the crime. Rather, you can simply touch someone against their will. Why do I need an Immigration Attorney during my Criminal Case? As I sit here working on my most recent crimmigration consultation case, I realize more and more the need for non-citizens to have trusted advice and immigration counsel during their criminal cases. 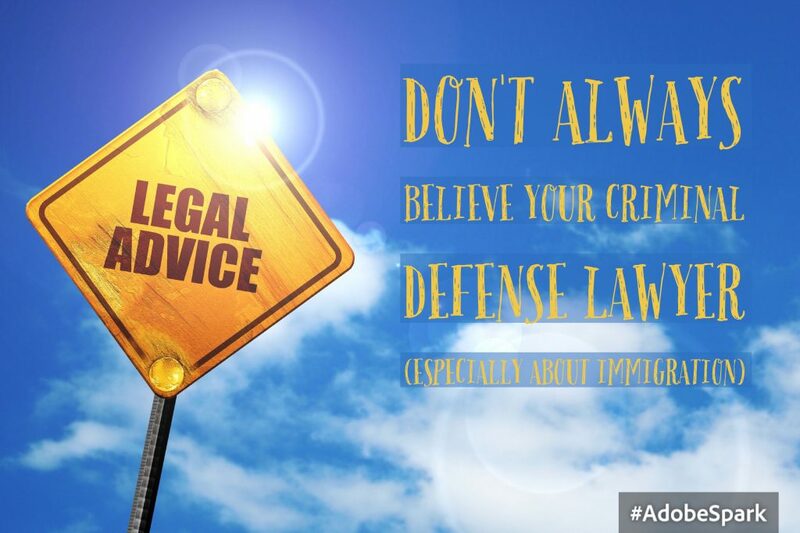 I have mentioned on many occasions that the time to hire an immigration attorney is not after you or your loved one is convicted of a crime, but before. The case I am working on now is but another example. A loved one of my client called to ask, “what are the immigration consequences of this criminal prosecution?” She said that his criminal defense attorney had someone in his office who did immigration and could assist, but she chose to call us for a crimmigration consultation because she read my blog and knew I could help. She was right. This nice young lady had received all kinds of incorrect advice regarding the criminal prosecution of her loved one. She was told that pre-trial diversion or pre-trial intervention was the way to avoid deportation. She was told that drug court was a terrible idea because her loved one would be labeled an “addict” and deported for that. Thankfully she was savvy enough to research and find out that it didn’t matter if her loved one received a withhold of adjudication or an adjudication of guilt, both are considered convictions for immigration purposes. Can I really be deported, denied admission to the United States or a green card for a crime for which I was not even convicted? The answer is clearly and unequivocally YES. Many people who are not yet citizens think that if they are arrested for a crime and the State or Government drops the charges, for any reason, they are home free and immigration officials can never use that arrest against them in the future. That is simply not true. There are multiple grounds of inadmissibility that do not require a conviction in order for the government to use them against you. You may be thinking, I am in the U.S. lawfully, I don’t care about grounds of inadmissibility, those are for people who are here illegally or people just coming into the U.S. That’s not true either. Those grounds of inadmissibility, which do apply to people who entered without admission and those who are applying to come into the U.S., also apply to people trying to adjust their status to lawful permanent resident and get a green card. Yes, that’s right, if you are a non-immigrant, visitor, student, employee, or in any other lawful immigration status and you want to get your green card, you have to pass all the same admissibility requirements that people coming in from overseas have to pass.